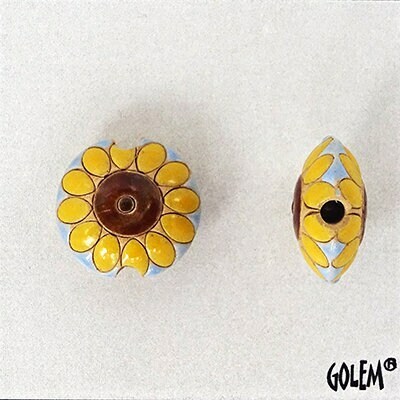 Gorgeous handcrafted, hand-carved and hand glazed, ceramic beads made in Bulgaria. It measures 17mm in diameter, 9mm thick and has a 2.8mm stringing hole. 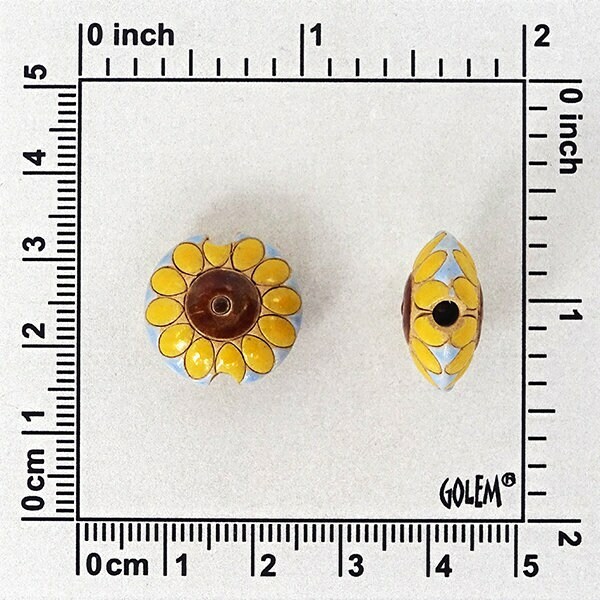 Pictures show both front and back of these beautifully hand carved lentil beads. Love these sunflowers. shipped quickly. So cute, I just ordered another one. shipped quickly.